The New York Yankees‘ starting pitching rotation seems to be a strength heading into 2019. The rotation features J.A. Happ, Luis Severino, Masahiro Tanaka, James Paxton, and CC Sabathia. The Yankees’ veteran pitcher, Sabathia, had surprise heart surgery this offseason which put the future of his career into question. Doctors have indicated that he should be able to return to full health ahead of his 19th season as a professional baseball player. 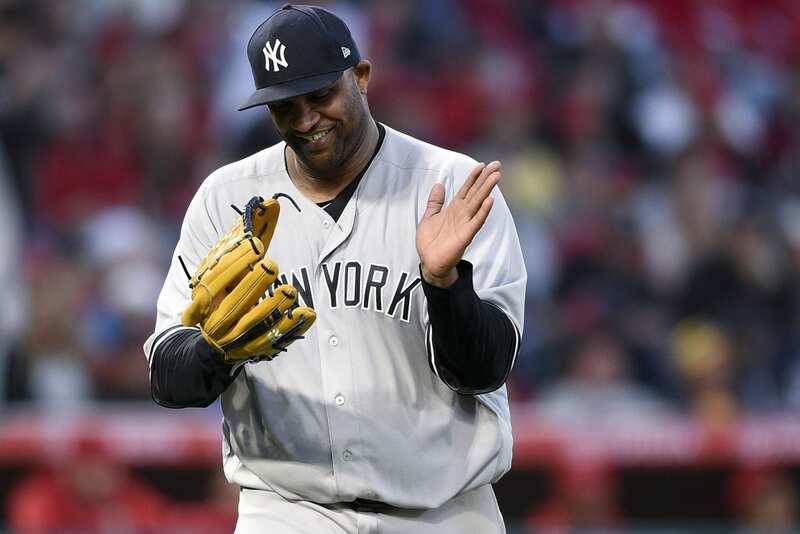 Sabathia finished 2018 with a 3.65 ERA which included nine wins and seven losses. It was his highest ERA since the 2012 season (3.38 ERA). But, being that’s he’s a ripe 38-years-old, the Yankees must prepare for a sizeable falloff or at the very least injury concerns. There are several free agent options on the market that could fit the bill if Sabathia can’t finish the season for whatever reason. But, I would prefer to look at the players already on the roster. Jonathan Loaisiga, the 24-year-old starter, had a troublesome rookie season in the Bronx. While he finished the season 2-0, his ERA was a hefty 5.11. He allowed 26 hits and 17 runs through 24.2 innings. It wouldn’t be wise to bet all your chips on the young pitcher finding a rhythm in 2019, but the experience from last season will play an essential role in his success moving forward. The Yankees need to stick to their youth guns, allowing them to gain confidence and develop in the major leagues. While the Bombers traded away rising star Justus Sheffield to the Mariners in exchange for Paxton, they will have to lean on players like Loaisiga to pick up the slack of Sabathia struggles to maintain his health throughout the course of the season. One potential free agent that could fit the bill is Gio Gonzalez. He finished last season with a 4.21 ERA and 80 earned runs. The Yankees might be able to swing in and scoop up Gonzalez for $10 million on a one-year deal. The question would then be, where would he fit into the rotation? Personally, I feel as though the Yankees would prefer to find a pitcher via trade during the season. This is the approach they took last year with Happ. They might have to give up a bit more than they want to, but it’s better to make a positive move at the right time than overstock the roster early on in anticipation of an issue that hasn’t even arisen yet.